Twin Valley South’s Michael Crews rushed for 55 yards and a touchdown in the Panthers 35-12 win over Dixie on Friday, Aug. 24. 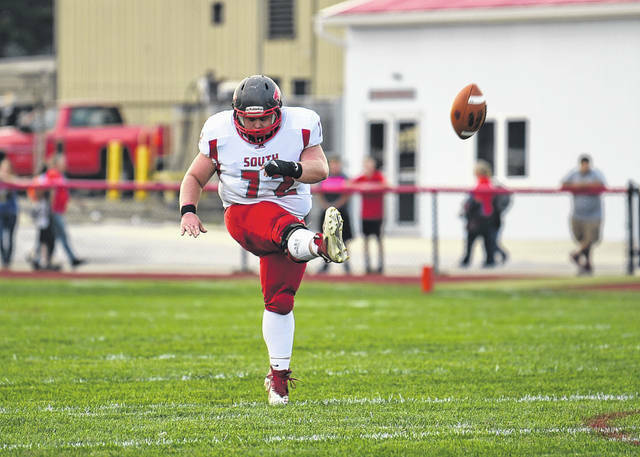 NEW LEBANON — Twin Valley South’s football team kicked off the 2018 season with an impressive 35-12 win over host Dixie on Friday, Aug. 24. 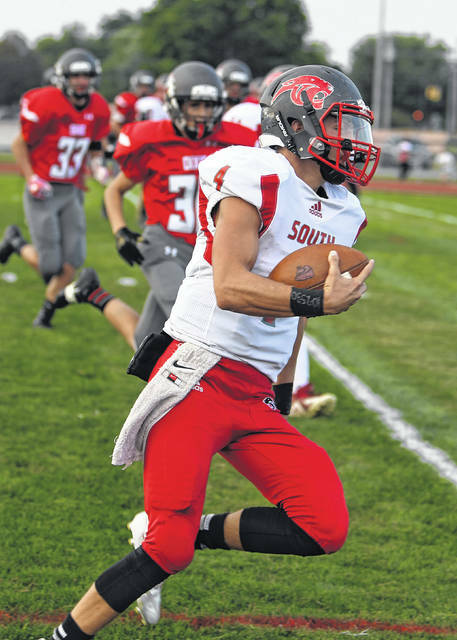 Isaac Clark rushed for 102 yards on 17 carries and scored two touchdowns as South won it’s season opener for the first time since the 2015 season. Bartlett said the Panthers play was solid in all three phases of the game. “We had a big kick off return for a touchdown. 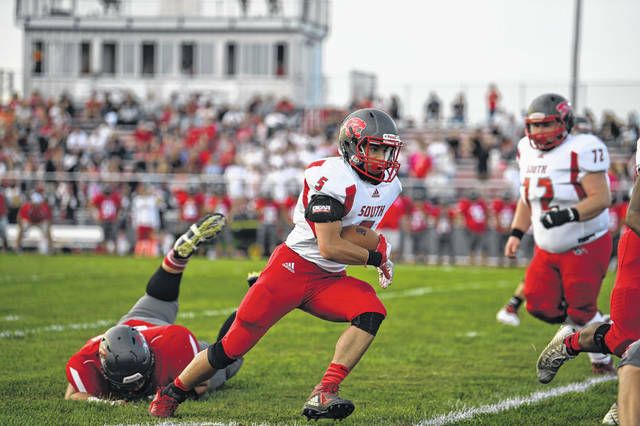 Our defense was able to step up on a few occasions and get stops when we had to,” he said. Bartlett said he expected a tough game and is glad to be 1-0. ”Dixie is a good ball club and their kids played hard. We are excited to be 1-0, but know that now we have to get back to work,” he said. South led 15-6 after the first quarter and extended its lead to 21-6 at halftime. The Panthers led 28-6 after three quarters. Panther quarterback Cade Cottingim rushed for 50 yards and completed 4-of-6 passes for 75 yards. He rushed for a touchdown and passed for another. Michael Crews rushed for 55 yards and a score. Chandler Napier caught three passes for 44 yards and a touchdown. 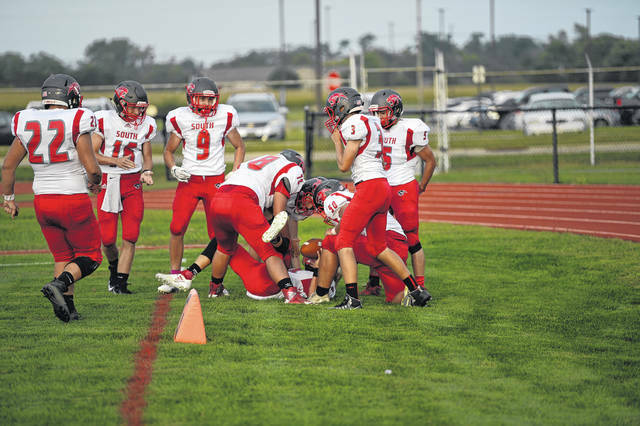 South will play its home opener on Friday, Aug. 31, when it entertains Preble Shawnee and former assistant coach David Maddox. 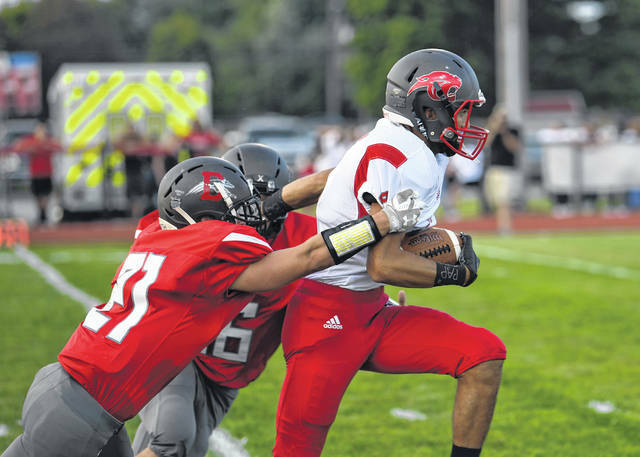 Shawnee is coming off a 37-12 loss to Talawanda last week. 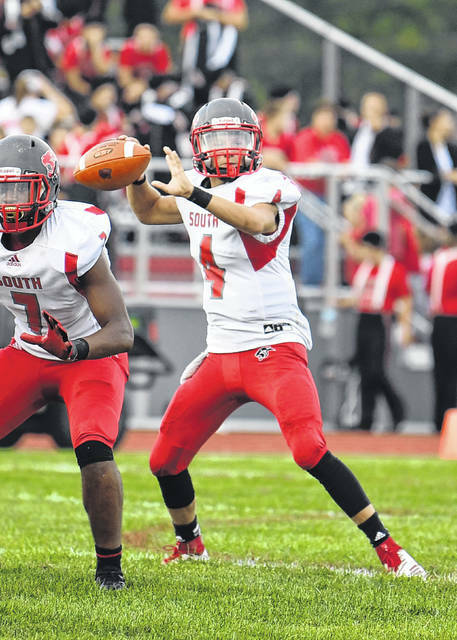 Kick-off is scheduled for 7 p.m.
https://www.registerherald.com/wp-content/uploads/sites/41/2018/08/web1_tvsfb5.jpgTwin Valley South’s Michael Crews rushed for 55 yards and a touchdown in the Panthers 35-12 win over Dixie on Friday, Aug. 24.